A chic coffee table design that combines both form and function. 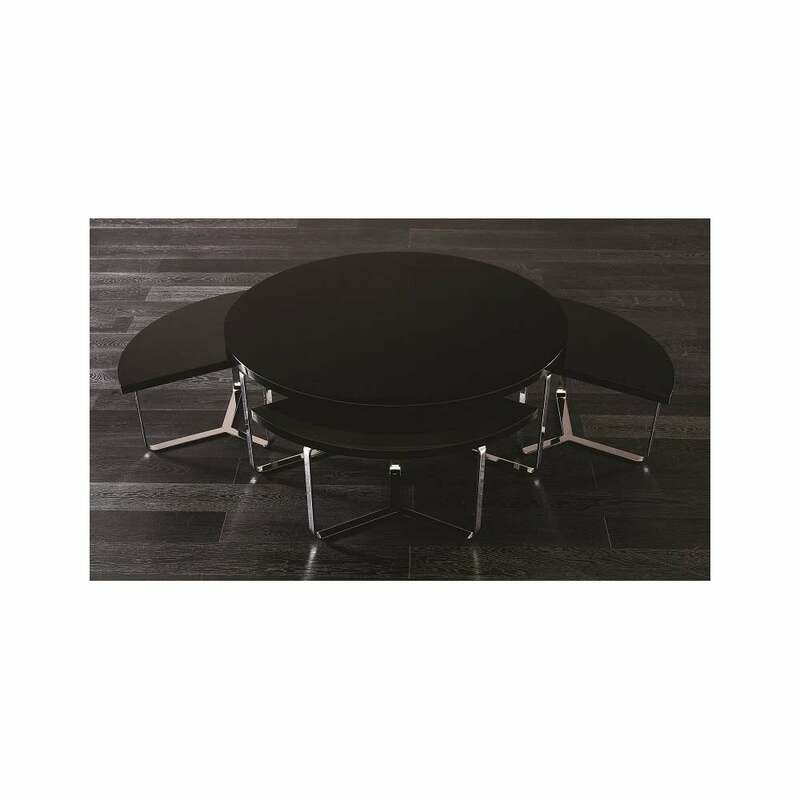 The Egidio Tris Small Tables by Rugiano Interiors features a large circular table with three separate sections that pull out to create extra surface space. This deconstructed design is ideal for smaller rooms where space is at a premium. The sections also create visual interest and add a modern touch to a more traditional scheme. Hand-crafted by skilled artisans, the table tops can be realised in a variety of finish options including the finest Pelle leather, marble and wood. Choose either steel or bronze frames to complete the look. Make an enquiry for more information.